Sometimes the inevitable happens. You receive a call late one night that your cold room went down and is now operating at ambient room temperature. Given the increase in temperature, the batch of drug product that was residing in that cold room is now questionable – in the pharmaceutical industry, we refer to this product as Out of Specification (OOS). 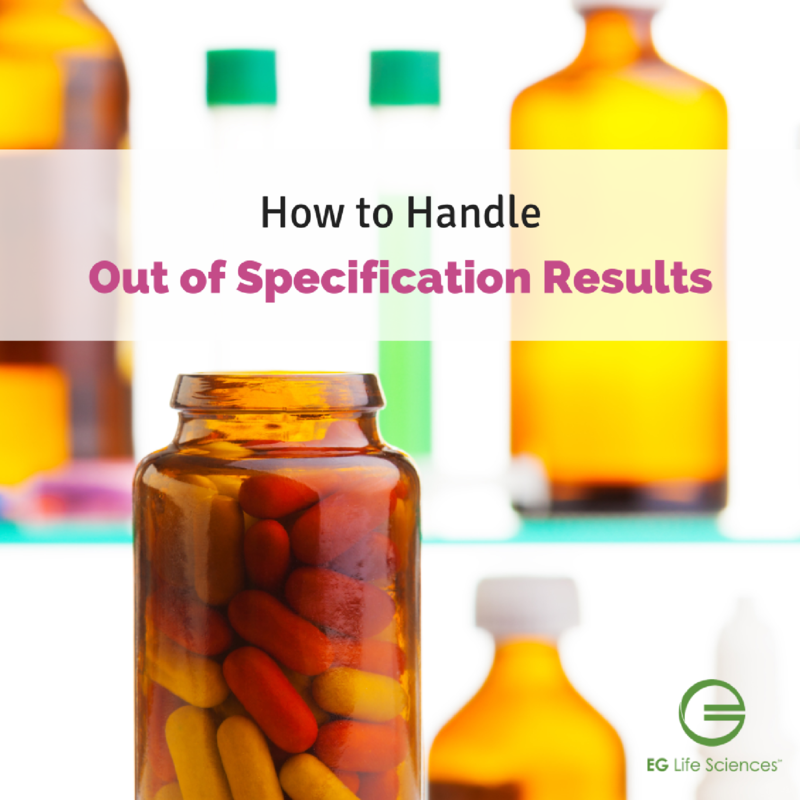 OOS results “include all test results that fall outside the specifications or acceptance criteria established in drug applications, drug master files (DMFs), official compendia, or by the manufacturer.” This includes any equipment that was found to be out of tolerance. So what do you do about that batch of product that’s likely worth thousands, if not millions, to your company? You must make sure that an internal investigation is completed to check for any red flags and review all Current Good Manufacturing Practice (cGMP) documents associated with the product. Your team must determine if there were any deviations from the Standard Operating Procedures (SOP). In the case of your cold room going down, you need to understand how long it was out of specification and if that should be considered detrimental to the product per the guidelines. From there, you must document what happened; this is known as Stability Control. This documentation is used to determine what should happen if your product is outside acceptable ranges and exposed to abnormal conditions. Your supporting teams should review the studies that were done around this product and look for ways to justify your results. Any OOS events would trigger investigation and deviation. If the actual amounts are lower than the desired result, what should you do? Do you reject the batch? You and your team must go back to documentation to look at the pre-determined limits but remember that you may be able to justify why going outside of limits are okay before making a decision. Doing this investigation can save your company a lot of time and money. Is your organization grappling with a current situation that involves OOS results? We would be happy to answer any questions you may have. Reach out to us at: info@eglifesciences.com or 888.925.6847.